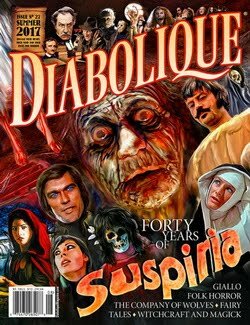 The backwoods locations of South America are all too familiar settings for the horror genre particularly when the slasher sub-genre and its forerunners are concerned. These are with the franchises of The Texas Chainsaw Massacre, Friday the 13th, Wrong Turn, Hatchet and such entries as ‘The Hills Have Eyes’ (1977 & 2007), Just Before Dawn (1981), Madman (1982) etc. However, ‘Jug Face’ while taking place in those commonly used surroundings does not belong to this ilk approaching the environment with an absorbing and compelling original take. 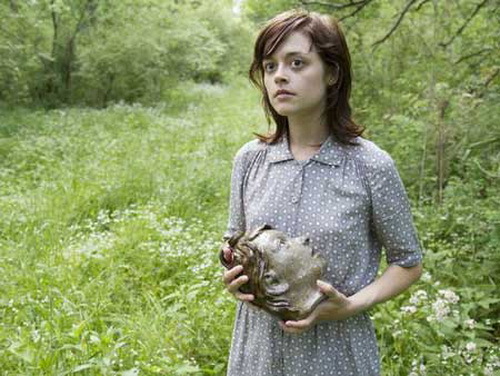 It is a bleak and creepy tale concerning the cultism rituals of a close-knit hillbilly community that blends successfully realism and surrealism and has a genuine emotional lending to the material. Teenager Ada (Lauren Ashley Carter) is having a secret incestuous affair with her older brother Jessaby (Daniel Manche) and becomes pregnant. Her father Sustin (Larry Fessenden) and mother Loriss (Sean Young) have arranged for her to be married to the son of another family but she must be pure and hides her pregnancy from her parents. 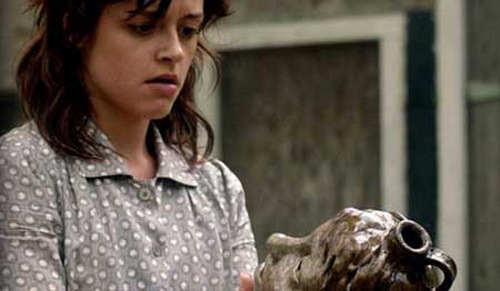 She then discovers that she has to be sacrificed to a creature in a pit when she finds a newly made face jug in her image. They are used to signify who is to give their life made by local pottery maker the mentally deficient Dawai (Sean Bridgers) who has visions of who the next “jug face” is to be and then makes one guided by those visions. Ada hides it away but in doing so, she puts the lives of everyone around her in jeopardy as “the pit wants what it wants” and her refusal to give herself and her baby to it forces the pit to take other lives until she does. The pace of the film’s development moves along like a short horror story and feels small and intimate serving as a slice of life study of this little isolated rural community. We are the flies on the wall looking in at the everyday lives of this small off the grid backwoods society that lives in rundown mobile homes and self-constricted shanties, washing their clothes in a lake and only venture out into town for supplies and selling their moonshine. A bizarre and dark set of beliefs fester underneath this seemingly simple way of life though that like this is just presented to us with no backstory given as an explanation. We do not know how the creature in the pit exists, why a jug face determines the sacrifices and there is no questioning from any of the characters as to why they have to give themselves and their loved ones to the pit. They deem this life normal with blind devotion to this creature and this could feasibly be a damning sub-textual commentary on how religions handicap followers from being able to think critically. There is no protagonist as an outsider in somewhere they do not belong representing the audience guiding us as they discover this strange goings on the same time as we do watching the movie. This is not ‘The Wicker Man’ (1973). There is a wealth of talent on display here. The strong performances of reunited cast members of previous Modernciné production Lucky McKee’s ‘The Woman’ (2011) - Carter and Bridgers - really draw our sympathies with heartfelt turns. Lauren Ashley Carter as Ada carries the story effortlessly with her complete and utter vulnerability and Sean Bridgers could not be more of a contrast to his previous role in McKee’s film as the kind hearted harmless Dawai who tries to protect her and Fessenden and Young ably support them. Behind the camera, writer and director Chad Crawford Kinkle provides a thoughtful screenplay and tight direction. He also employs a fair bit of explicit close-up gore shots that are rapidly edited in the eerie murder sequences with the special make-up effects provided by the K in KNB Robert Kurtzman and Sean Spillane’s subtly sinister score provides an atmospheric air of unease. Much like ‘The Woman’ and other Modernciné movies the production values ooze quality and are technically sound utilizing its modest resources to full effect. 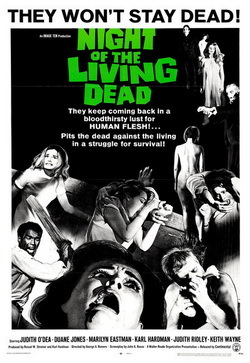 If there is one downfall the film has though that completely takes the viewer out of what is otherwise an engaging little tale smartly crafted on such limited resources, it is the shoddy scenes depicting the story’s supernatural elements of a spirit of a dead boy with an emaciated appearance. He appears to Ada telling her he was a victim of the pit due to her grandfather not giving up his wife who was a “jug face” herself and that Ada must sacrifice herself no matter what, as people will continue dying until she does. It is not so much that these sequences are actually bad within the context of the story because while it slips into traditional genre conventions as opposed to the uniqueness of the rest of the proceedings the actual concept fits in with the folklore approach of Kinkle’s story. It is just that the idea is ruined by the cack-handed execution with the use of dodgy CGI to portray the ghost boy wrapped in black airy tendrils that shows the strains of the budget as if we are watching a cheap Syfy original production and makes for cheesy cringe making stuff. Gripes aside, the production company Modernciné continue to churn out endlessly interesting movies. Their body of work includes the Jack Ketchum adaptations the deeply disturbing ‘The Girl Next Door’ (2007), the butchered by the censors but an enjoyably watchable mess 2007’s ‘The Offspring’ (the full 100 minutes version is apparently available in Germany) and the as before mentioned the brilliantly controversial ‘The Woman’ (a pseudo-sequel to ‘The Offspring’). 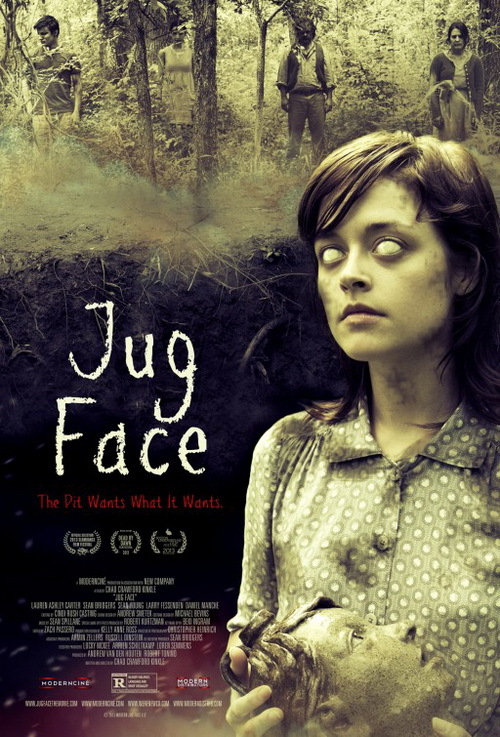 ‘Jug Face’ joins the ranks succeeding as a smart original spin on hicksploitation with a subversive yet at the same time grounded work thanks to the carefully considered writing and direction aided by the solid performances that all elicits a genuine emotional pull right up to the shattering climax. This confident debut already shows maturity from its fledgling filmmaker and Chad Crawford Kinkle is definitely an upcoming talent with a bright future ahead of him.